The wait is finally over as Jordan Brand officially released their 27th Air Jordan signature sneaker, the Air Jordan 2012. The new Air Jordan 2012, which created huge waves when it was unveiled earlier this year, is now out in University Blue/White-Dark Steel Grey and Wolf Grey/Black-Silver Ice-White. Both colorways look equally impressive and got a much-needed attention boost with the interchangeable inner sleeves and interchangeable midsoles for performance tweaks based on needs. According to co-designer and Nike Vice President for Special Projects and Creative Design, Tinker Hatfield, they saw the increasing need for footwear that can be customized to suit the needs of the best athletes in the world and the simple basketball players out there. The “Wolf Grey” and “University Blue” colorway of the Air Jordan 2012 is available for $223, which is reasonable enough for a top-notch and eye-catching sneaker like this one! 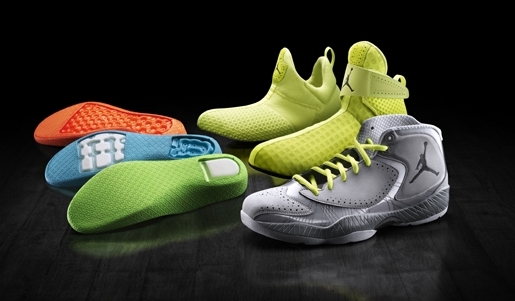 Check Out the Three New Air Jordan 2011 Today!